The DVD is the final work of Martin Breese’s long career in magic. So determined was he to see this produced that whilst ill he forced the hospital to send him home for the filming. He had a great passion for the work of Al Koran and great respect for Graham Jolley – ‘Britain’s most baffling mind reader’. Martin had spent many years trying to bring these together and the passion and humor is evident as they talk about their hero. The two discuss the life of Al Koran and Graham Jolley demonstrates and explains Al Koran routines often with his own twist added. 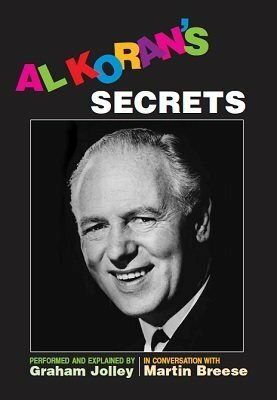 Plus two bonus videos of part of Graham Jolly’s live performance entertaining executives with his inimitable patter and Al Koran routines. 1st edition 2012, length 55 min.